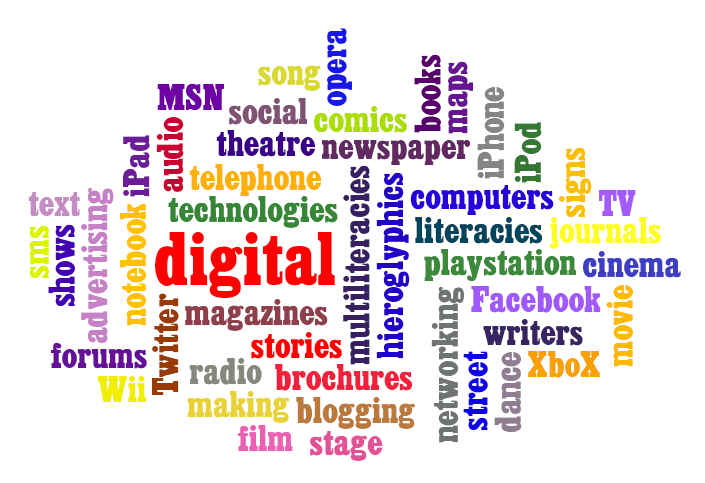 DIGITALIS.nwp.org is a web forum created by the National Writing Project for educators and scholars to “read, discuss, and share ideas about teaching writing today”. 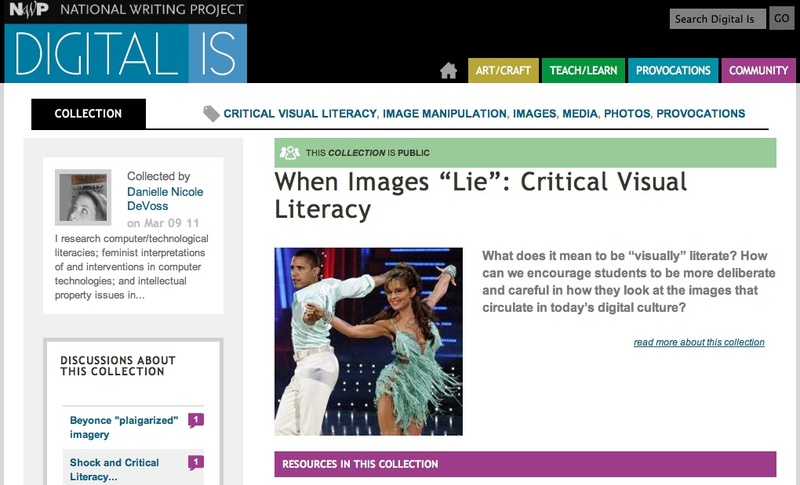 It is a host for a growing number of resources that form “a collection of ideas, reflections, and stories about what it means to teach writing in our digital, interconnected world.” The format of DIGITAL IS is such that anyone may sign-up and contribute a ‘resource collection’ which represents different postings, lesson plans, articles, and discussion threads around a common general topic. The democratic, open-source format of the platform also serves to exemplify the way multiliteracies can contribute to building an inclusive and participatory digital civic culture. This impressive site is making important contributions to the field of multiliteracies and at the same time actively transforming the use of multiliterary technology in multiliteracy discussions. I love this video because of all the young people in it. Hip hop, as I have said before, has become one of the world’s most embraced literacies by Youth. Fortunately, hiphop in other countries, and particularly in Africa and Latin America, tends to usually have a social or political focus, making it much more useable than the majority of contemporary US-based hiphop for critical thinking and literacy exercises. In addition to describing the realities of contemporary life, African Hip-hop often discusses the historical background to the present situation, includes significant reflection on the present reality, and is often a call to action. This is more akin to the hiphop of the early 1990s in the United States that included the likes of Public Enemy, KRSOne, Tupac, Common, Tribe, etc., but often even more broadly dissected (in my opinion). However, as has happened with reggae and dancehall in the Caribbean, money and corporate influence in the more economically influential African nations (Nigeria, South Africa) has thrust African Hiphop music into the Global HipHop Economy (including its digital manifestations), injecting it with violence, consumerism, and other superfluous and destructive lyrics, while spreading its influence as a literacy at the same time. There is a certain tension hanging precipitously in the air this month, as young people and teenagers, mobilize via facebook, twitter, and their blackberry messengers. In London and other cities around England, rioters are engaged in seemingly random acts of vandalism, that interestingly coincide with serious downwards slippages in the global economy. While in many cases there is only pretense of political motivations behind the law-breaking there, at the very least we can understand that there is a dynamic playing here between polarizing socio-economic inequality, perceptions of the irrelevance of the state, collective youth action, and the drives of a capitalist society. Throw digital technology into the mix, and we have a situation where youth are using the multiliteracies that they didn’t learn how to use in schools, to translate socio-economic-material perceptions, collected via various media outlets, into extended networks of social praxis. Networked Social Praxis, as I am calling it here, is the way that electronic networks aggregate and distribute information that is in turn combined with individual users’ complex personal experience in such a way that they are inspired to use that information to create new, externalized, and tangible experiences. The real life events that occur as a result of this decision to mobilize one’s self or group, is then almost immediately fed back into the electronic network via multiliteracies. As people increasingly access more networked experiences and share their own experiences with others, the more they can realize the scope of that reality which in turn prompts them to get involved. While perhaps most ramifications of this are still unclear, we can note that the use of multiliteracies by young people in this case encourages expression (what kind? ), participatory action (by what means? ), and democratic cooperation (to what ends?). In the 2010 article by Dr. Carol Westby entitled, Multiliteracies: The Changing World of Communication, she offers a very straight forward look at how the scholarship is defining multiliteracies in 2010. It provides a very good basic overview of the topic, and definently contributes to the growing lexicon surrounding multiliteracies. The purpose of this article is to elaborate on the aspect of ‘multi-modal ways of making meaning’ as identified by the New London Group in their 1996 report A Pedagogy of Multiliteracies: Designing Social Futures, and to ‘explain the implications of this aspect of multiliteracies for [Speech Language Pathologists] and educators.’ The author gives examples of what some of todays multiliteracy-dependent media looks like, and expounds on its relationship to the skill identified by the New London Group called design (which in turn has three aspects: available designs, designing, and redesigned). The author also gives educators and SLPs guidance on how they can promote multiliteracies in the classroom. The article finishes with a short but interesting section on targeting multiliteracy skills for children with language disorders. 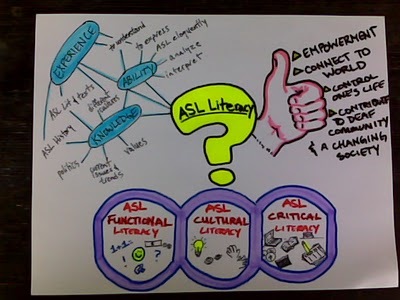 In this section she explores the idea of creating a Multiliteracy Map as developed by Dr. Susan Hill, who completed the report Mapping multiliteracies: Children of the new millennium, a project funded by the Australian Research Council investigating the use of new literacies by children aged 4-8 years. She concludes by summarizing what is important about multiliteracies. The article is worth a read, especially for students unfamiliar with the topic, as a basic introduction to multiliteracies. This is a post is a rant about the connection between administration and the quality of education.It could be argued that administrators “speak their own language in a sense, meaning, each has his or her own way of handling tasks and implementing new strategies for procedures which ultimately direct and dictate a student’s path. What I have come to find as a teacher, however is that administrative staff need to also be open to learning the language of their schools. It is infinitely important that an administrative officer immerse themselves into the culture of the school and try to work as a team along with fellow colleagues, students and staff. If this doesn’t happen, it creates a real distance between everyone. Students don’t get what they need, and teachers become frustrated with the lack of understanding in terms of how documentation and facility strategies form in conjunction with the demands of students and their learning objectives.The bottom line is that in order to solve this problem, everyone needs to communicate. More collaboration between staff means less referrals, more direct answers for students and less objections to new policies,since everyone’s needs would be considered. One way for this to happen is an increase in faculty meetings and discussion, but when daily tasks are so maxed to begin with, that may not always be possible. Thus, the potential for technology to aid in this communication between staff, teachers and students is huge. Online databases and social networking can open portals for schools that would help keep everyone informed, while offering an anonymous, open space for voicing opinions, ultimately creating more democratic, healthy learning environments where everyone is on the same page. Furthermore, it can all be done with utter CONVENIENCE. In conclusion, every school could benefit from the use of an online network.